From a distance it is hard to distinguish baked goods, are they Breakfast Bagels or Dinner Rolls? Avoid any confusion with a correct signage, visible from a distance, and suited to the right time of day and Bakery Department output. Here a Table Top Sign confronts aisle traffic, while Wall Sign broadcasts to center store. 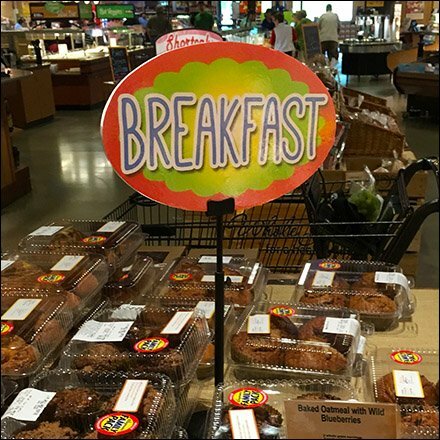 Breakfast is sure taken seriously at this Wegmans®.